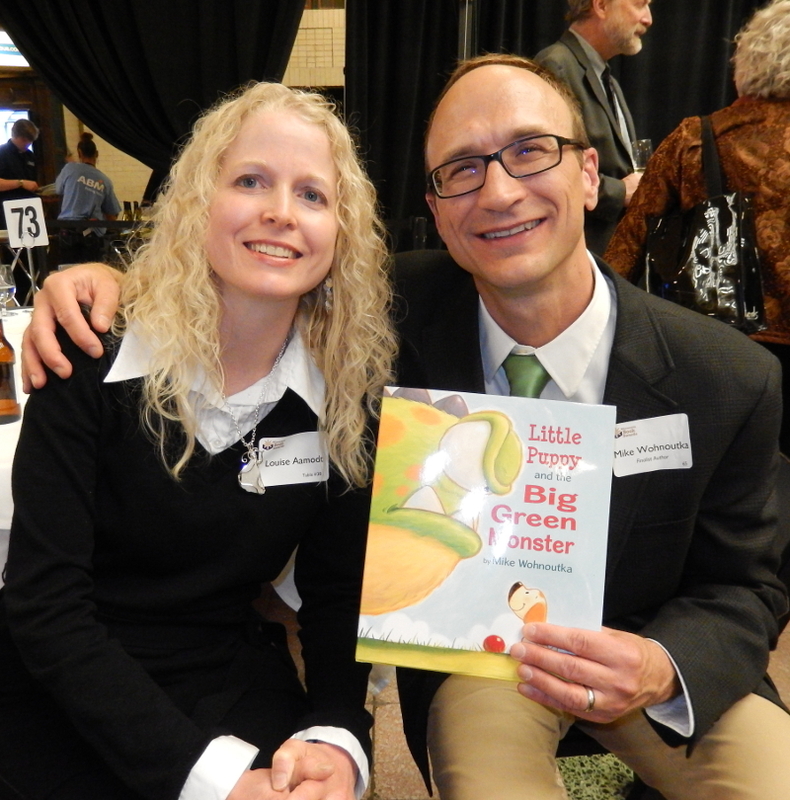 This picture book scored a triple hit with me through text, illustrations, and a behind-the-scenes meeting with the author-illustrator. And it’s hard to say which tickled me the most! Speed bump warning: This isn’t a book to read quickly. Take your time and enjoy the journey as Little Puppy searches for a playmate. 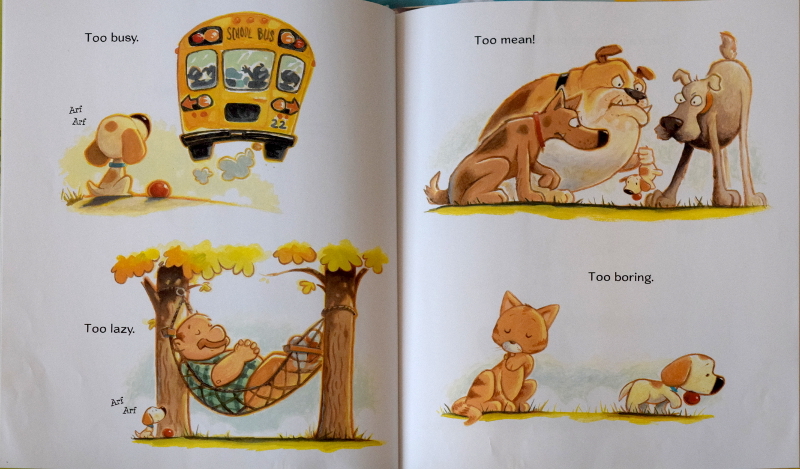 Each page only employs a few perfectly chosen words to set the pace, establish mood, and visually break up the page. Read it aloud, letting your voice play with the changing fonts. Next, savor the illustrations. 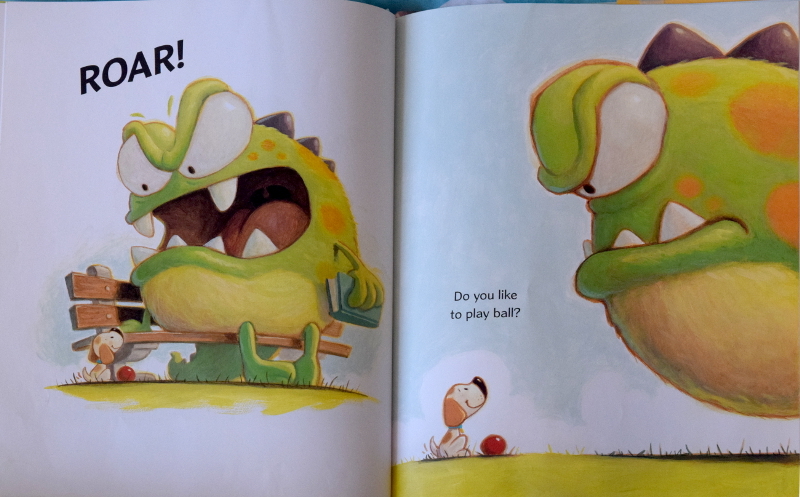 Note how the monster’s appearance bursts the prior restraint of the color palette. Appreciate the variety of size and angle perspectives. Most of all, giggle with the spot-on facial expressions that carry the true joy of the story. 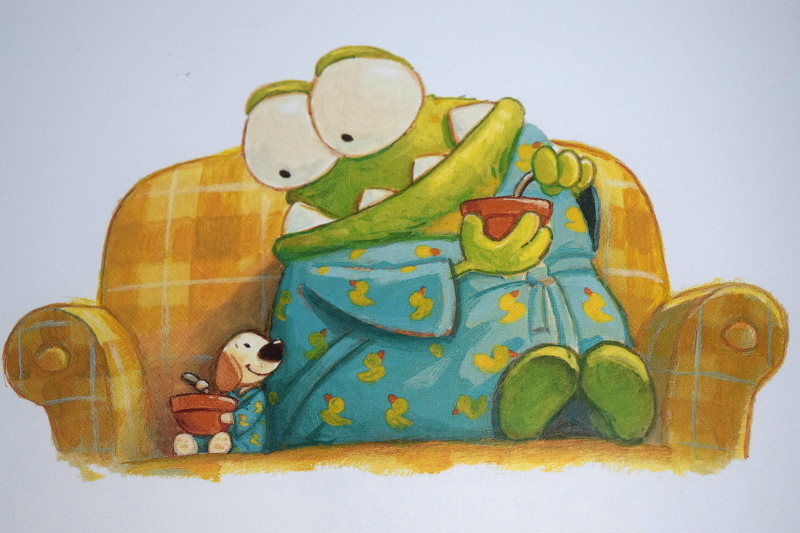 And don’t overlook the mini-story in those fantastic end papers! 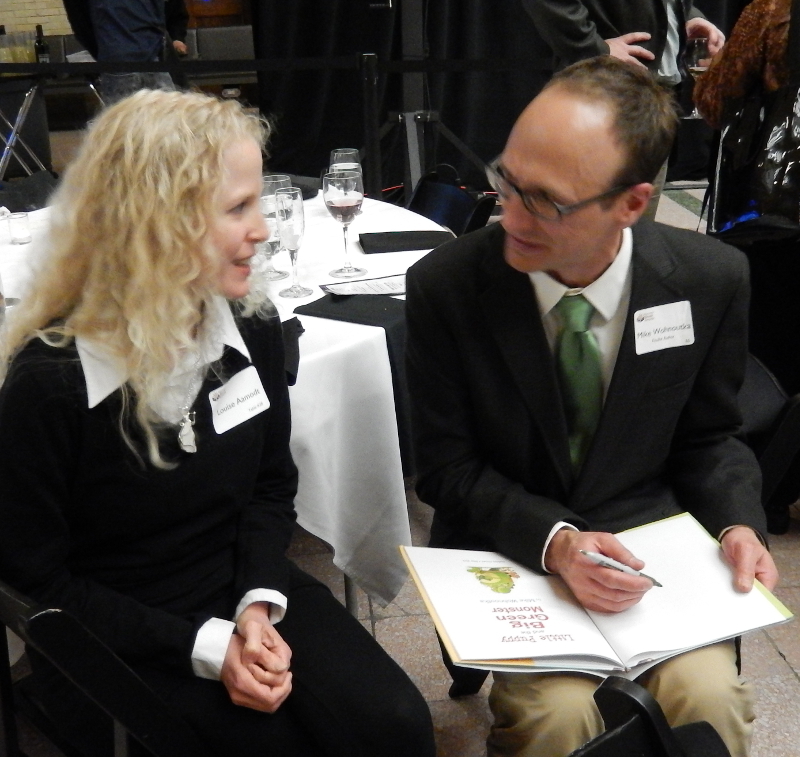 Now for the part you won’t see: I had the pleasure of chatting with Mike Wohnoutka at the 2015 Minnesota Book Awards. 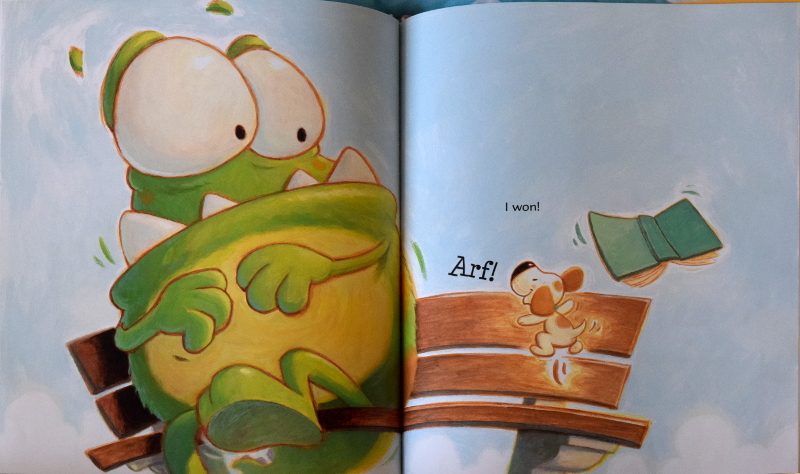 He was every bit as animated as Monster (in a good way), and just as friendly and enthusiastic as Little Puppy. And talk about optimism! His writing advice? Don’t give up. Just like Little Puppy, don’t ever give up. Whether you’re four or forty-four, that’s advice we can all use. When I first read this story, I envisioned Mike Wohnoutka in boxing gloves doing a slow motion victory dance to the Rocky theme. 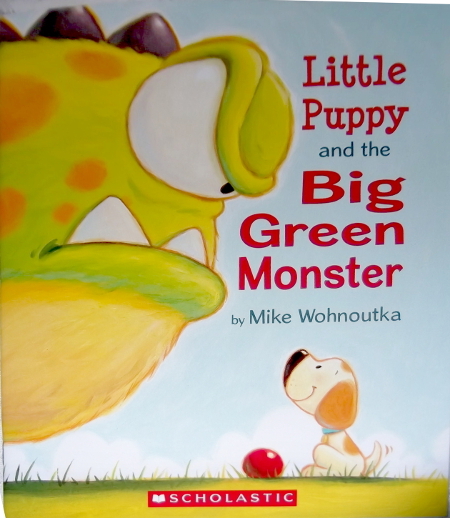 Wohnoutka already had a winner by writing a picture book about the unconditional love and playfulness of a puppy, but when he created a big green monster to receive these gifts, he scaled the top of the writing staircase. For those of us who can’t illustrate, we’re a little jealous that he can write such sparse text and his illustrator gets it. (I know. It helps that his illustrator is him.) Watch for some of the artistic details that make his pages especially endearing: the personalized mailbox, the picket fence, Little Puppy’s tail language, a rubber ducky, and more rubber duckies . . .
As a puppy owner/mom/wife/relative/friend, I’ve been too busy, too lazy, too mean, too boring, and often a big green monster of sorts, but my furry friends’ charming dispositions rarely changed. Little Puppy and the Big Green Monster reminds me how much I miss my pets and how I’d be a better human if I was more like Little Puppy. And forty-four, Lou? I hope you were talking in dog years. 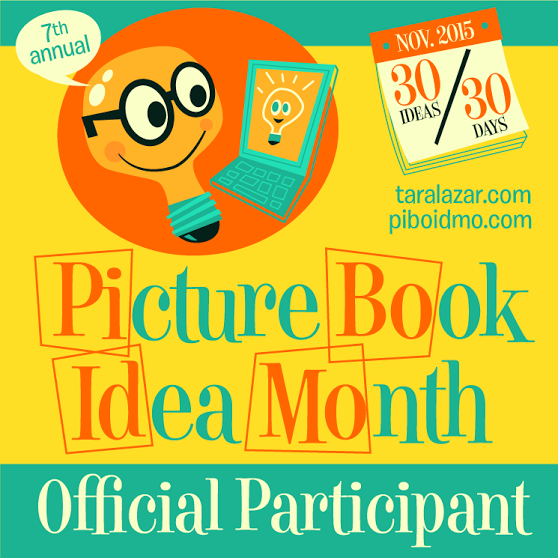 What children’s books would you recommend?